Mangal Sutara Necklace with Faux ZC in Gold and Silver tone with traditional Black Beads Chain. 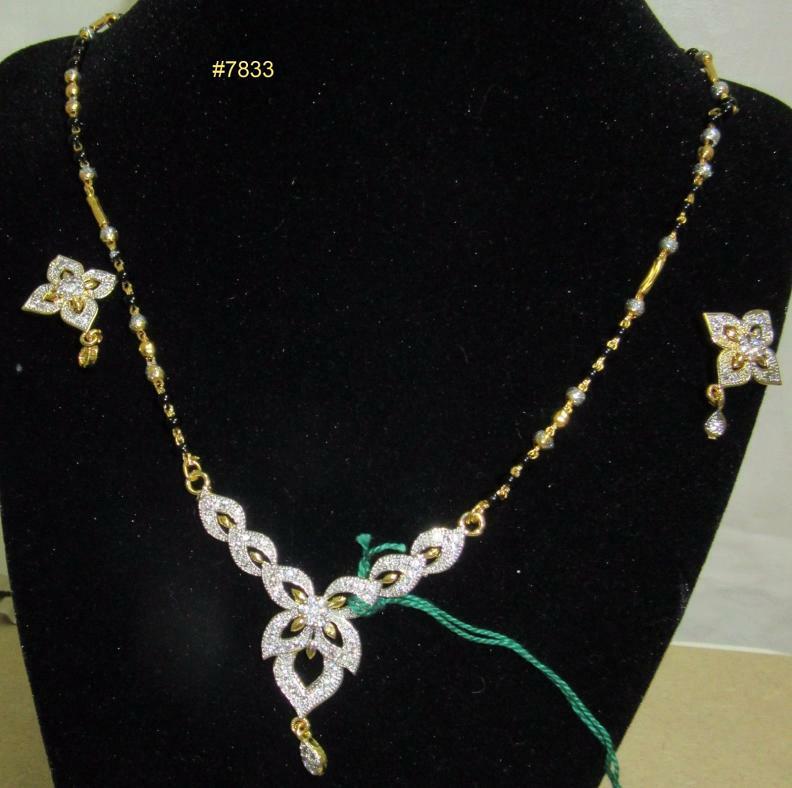 This Mangalsutra comes with a pair of matching Earrings. This item in Traditional Necklace Sets category was first added to our catalog on 05-20-2017. 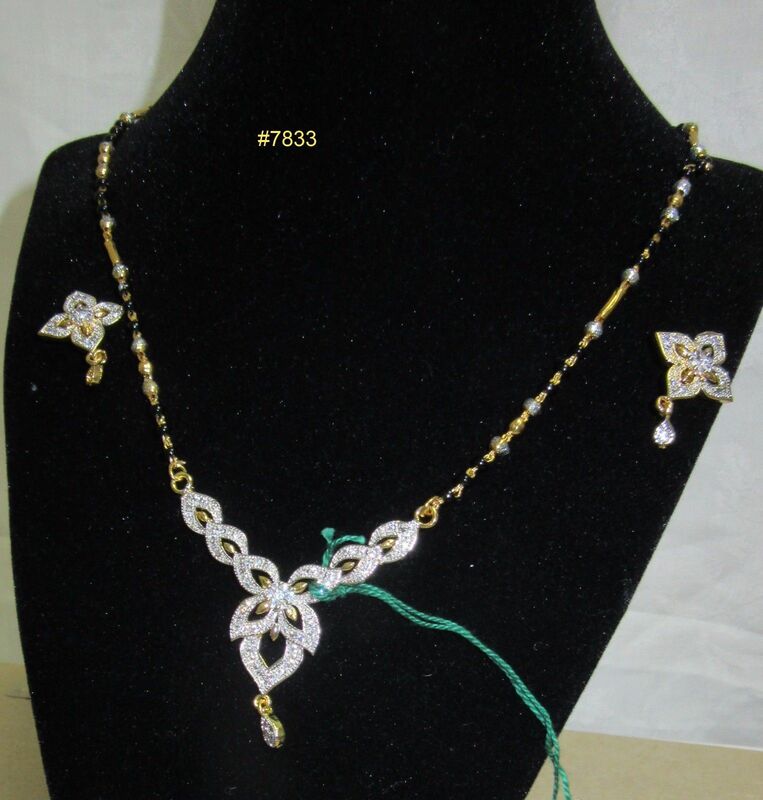 This Mangal Sutra collection has been tagged as Indian Jewellery, Sacred Thread For Shaadi.